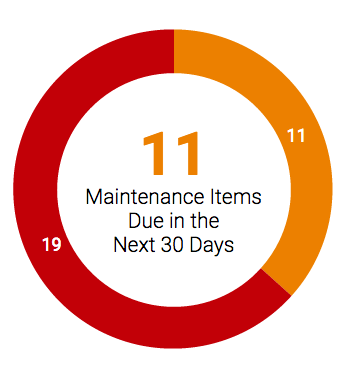 Maintenance schedules for your equipment are preloaded and just a few clicks away. Spend time building memories, instead of worrying about breakdowns, documents and maintenance schedules. 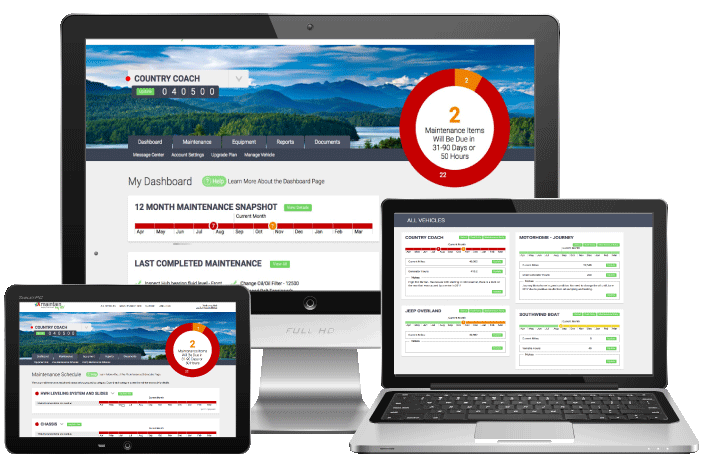 Track maintenance & fuel, receive alerts …and much more! 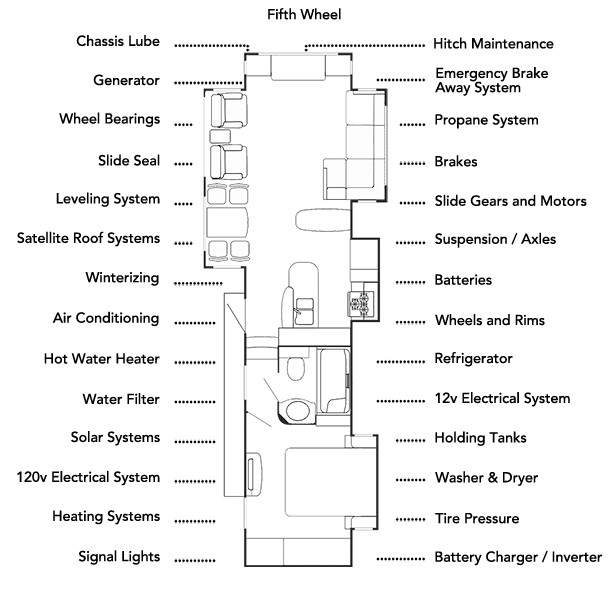 There is a lot to your RV! Are you on top of it all? Track everything from engine to air conditioning maintenance so you know what to do, and when. Simple graphics and email alerts let you know what’s coming up, quickly and easily. 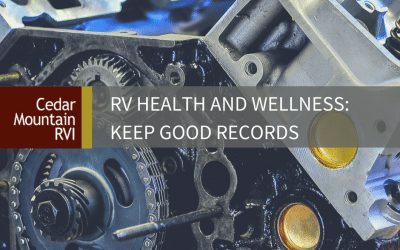 Track expenses by category if you use your RV for business, or track maintenance costs if you want to see your RV’s performance during a trip, a season, or throughout the lifetime of your RV. Track warranties, registration, receipts, invoices and any other documents related to your vehicle. 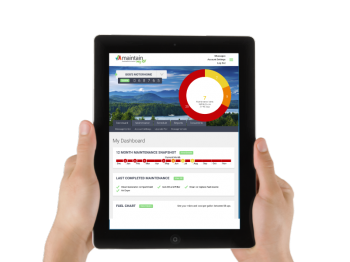 Easy-to-read reports allow you to access documents and see key dates immediately. 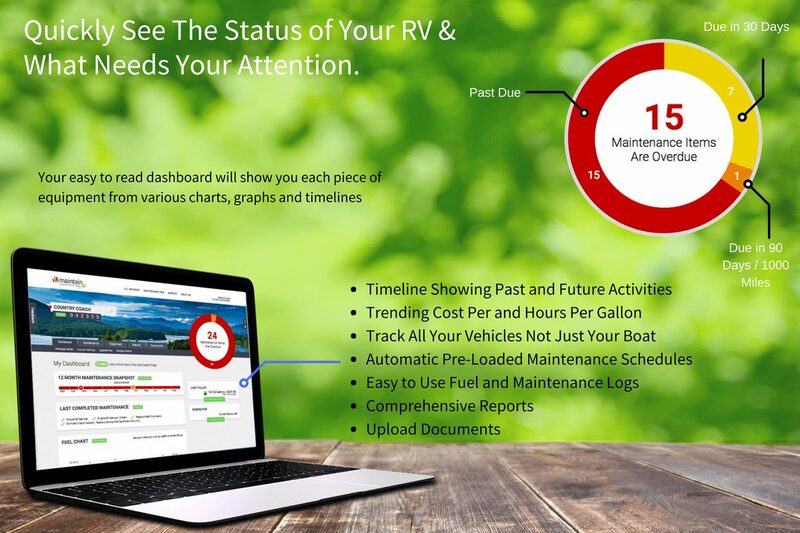 Track fuel consumption and cost based on the terrain you travel, towing load, or generator use. 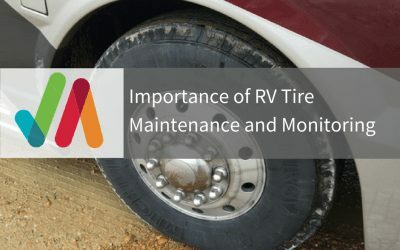 Maintain My RV has helped me to keep on top of what maintenance I need to do on both my motorhome and my Jeep. I feel that it is great having all this in one place (worth the $40/year). 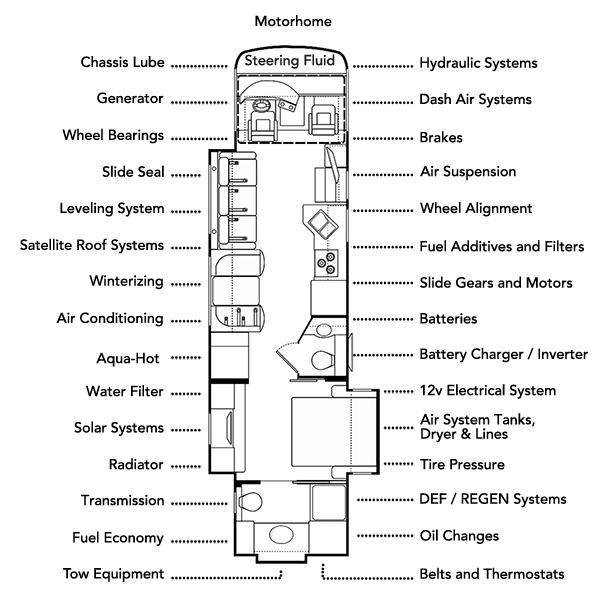 Maintain My RV is a tremendous help in tracking the maintenance requirements, as well as outstanding customer service. Questions are always answered in a timely manner, and followed up to make sure satisfaction was achieved. It really helps me by showing what items or components need or are coming due for maintenance. I also like the feature where I can upload all of my service & owners manuals, receipts, other important documents. I have and will recommend this program to others. 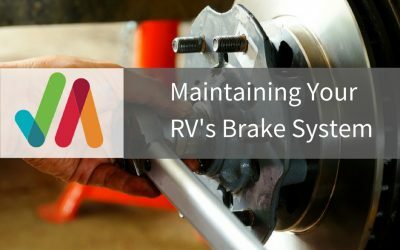 Access your RV maintenance schedule and activities anywhere. We’re mobile-friendly so you can use your tablet or smartphone. This is invaluable for real- time updates, fuel purchases, or service while traveling. Stay on top of everything for headache-free adventures. Should you need assistance while traveling, you have all your maintenance information at your fingertips for technicians.